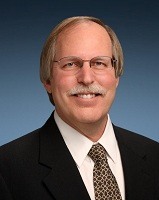 Greg Atwood started his career at Intel in 1979. From 1979 to 2008 he worked on numerous technology development programs at Intel including Logic, SRAM, EPROM, E2PROM, Flash, Multi-Level Flash, and Phase Change Memory. Greg led the project that brought the first MLC Flash product to production. In 2008 he joined Numonyx BV as their first Sr. Fellow and co-director of the California Technology Center. In 2010 he joined Micron as a Sr. Fellow in the Silicon R&D group. Since 2002, Greg has been primarily focused on Emerging Memory development and bringing the technology to market. He is the author of numerous articles and papers and holds more than 35 patents.